no recipe... no worries... fabulous food! genius! 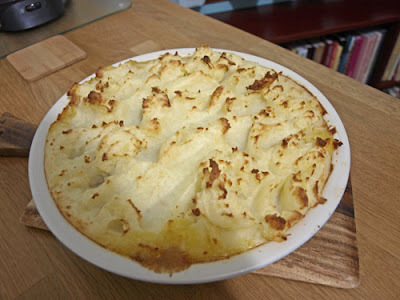 One of my ALL TIME favourite meals Janice ~ you can't beat a good home-made Shepherd with his pie!! I do like a good Shepherd's pie. No recipe food is often the best kind of food! Welcome to my kitchen Ali :) Hope you find some inspiration here. I'd say we just wing it! Like what Dom said, "no recipes, no worries." Love what you have created here. Home-made Sheperd's pie is the best. Posting a comment to say hello. Aren't leftover meals the best kind? You feel so proud of them! We are having shepherd's pie this week too.